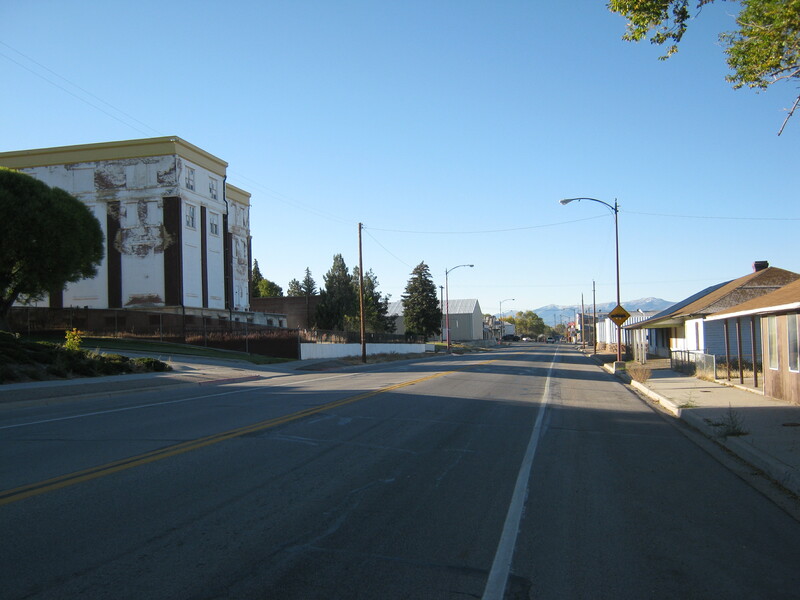 This used to be a very busy town since it was home to the Kennecott Mineral Smelter serving the mines nearby in Ruth. The Nevada Northern brought the ore here to be processed. The mill closed down in 1983 and with it the reason for the town. A population of 10,000 now is down to approximately 1,000 (2010). You can take this dirt road if you don’t mind dust and washboarding or if you’re driving a slow car like my Model T, but you may as well stay on the paved road as far north as Schellbourne. 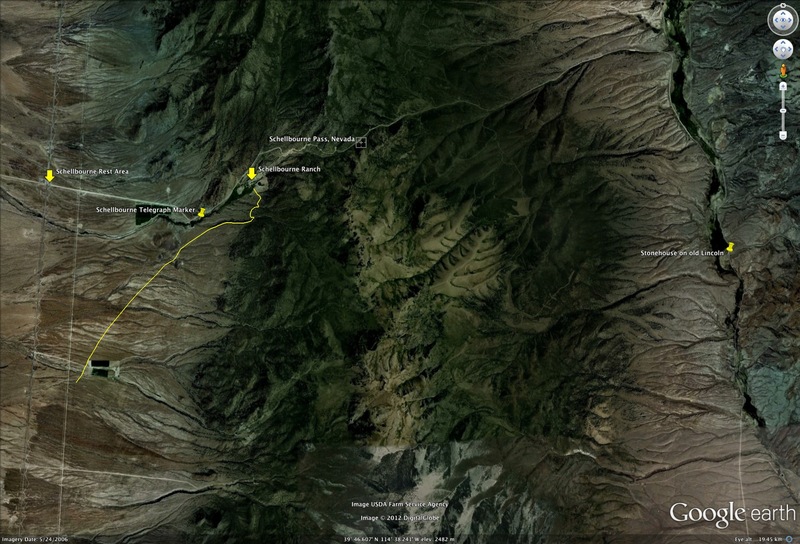 ( 39° 47.831’N 114° 44.481’W) Turn east here for Schellbourne Pass. On the road to the top are some places of interest: Schellbourne Ranch ( 39° 47.843’N 114° 40.851’W) through which the original highway ran. There is a California Telegraph marker on the north side of the road (39° 47.398’N 114° 41.745’W). 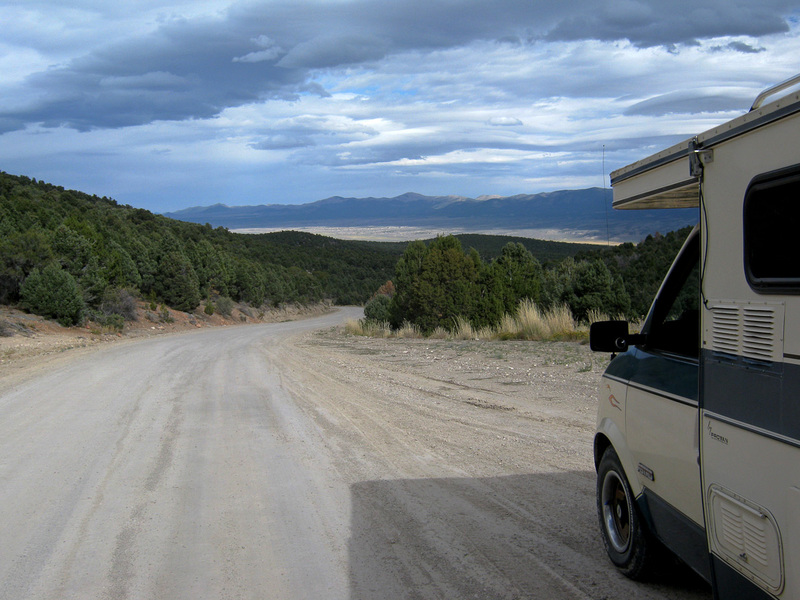 Remember this was the road of the Simpson survey which the Pony Express and the telegraph followed after 1859. As you can see in the photo, the road is well graded. This is still the original route of the LHW and we can be thankful that it is dirt and not paved. At least you get some feeling of the old road. There are a few places to camp on west side of the pass. The view is to the east and in the far distance is Antelope Valley, where the Tippets Ranch is located. On the east side of the pass the road turns south into Spring Valley and passes the site of Anderson’s Ranch mentioned in the LHW guidebooks ( 39° 48.078’N 114° 32.613’W). Note: I have not verified the location of the ranch in the field but I believe I am close; archeological work to follow. From here travel approximately 3.5 miles to this well-known marker, the Stone House. The road that intersects the valley from the east at Stone House is not the original 1913 LHW but a later version. The original road is 4.5 miles further down the valley. 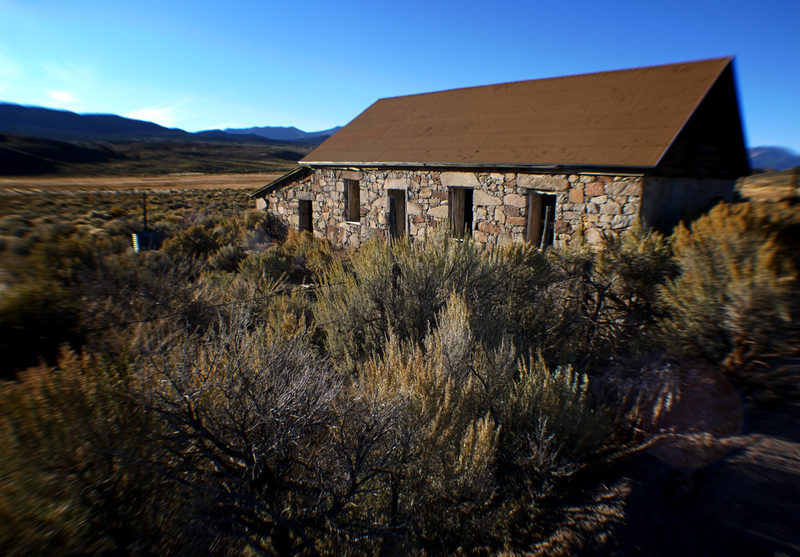 In the next installment, we’ll leave Stone House for a trip over Tippets Pass into the Antelope Valley and take a look at one of the memorable locations on this part of the highway, Tippet’s Ranch. Note: spelling of Tippets varies, sometimes with the apostrophe and sometimes not. In some cases the “s” is omitted. The Complete Official Road Guide to the Lincoln Highway 1915 is available from the Lincoln Highway Trading Post. Lincoln Highway: Nevada by Franzwa and Petersen is available from Amazon.com or from the Lincoln Highway Trading Post.